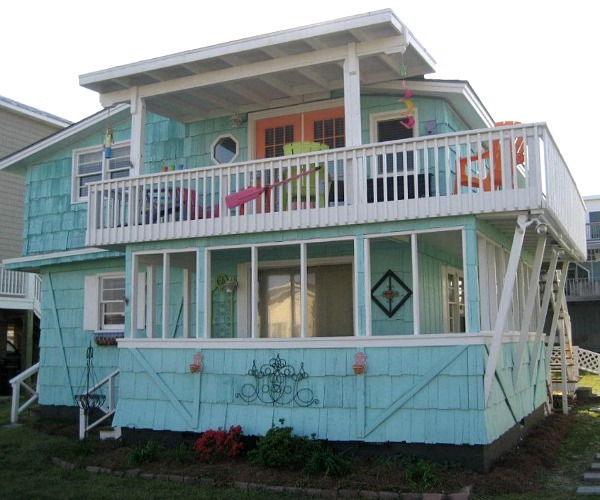 A reader named Allison wrote me about the (kinda sad, very brown) 1950s duplex that she and her family recently renovated in Kure Beach, North Carolina. After 10 months of working on weekends, they transformed it into a colorful “Caribbean-style cottage” they dubbed Latitude Adjustment. 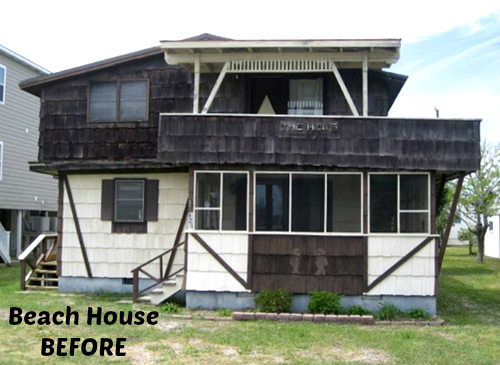 Keep scrolling to see how much happier the beach house looks today! It made me smile to see how much brighter and beachier it looks now. 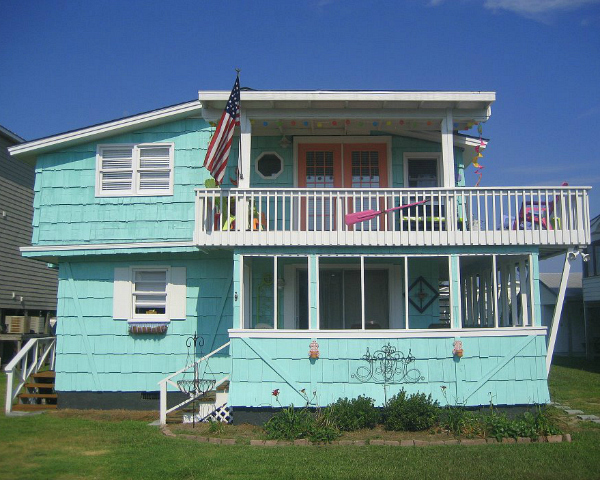 The house is “only a 28-second stroll from the sand,” so they painted it with bright and beachy colors both inside and out. “The home is a top/bottom duplex built in the 1950s. We rent the bottom apartment to long-term tenants, and the top apartment is what we renovated for friend/family use. 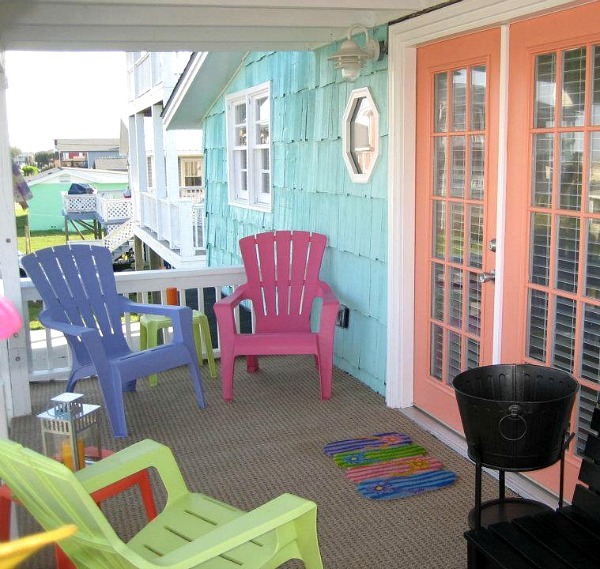 Is it a law that residents must paint their beachside residences pretty sherbet colors like this one? Don’t tell my beau, but this sort of happiness is next on my — I mean his — agenda! Julia, Allison should offer you a discount if not free lodgging as you have just advertised for her all across the US. That is your reach! 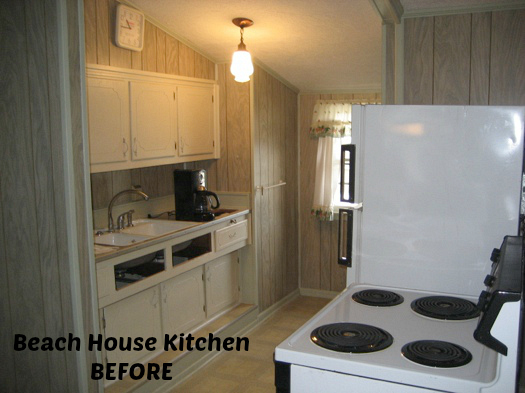 What a happy renovation for that beach house. I bet it is smiling inside. This is such an inspiration. My husband and I have been looking for a weekend getaway in Rockport, Texas. 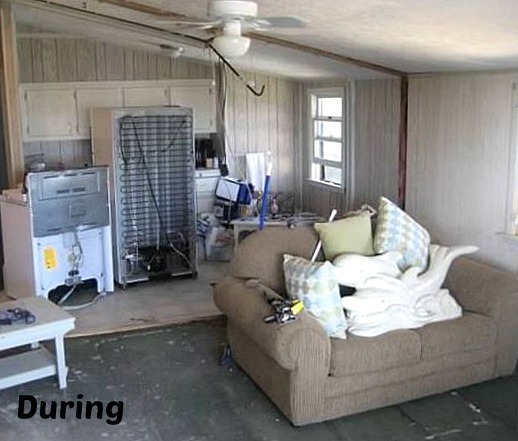 Anything close to the beach at an affordable price for a second home is pricey which leaves us looking at places like the “before” pics. Thanks for the encouragement. I love all that color!!! So happy and it makes me think about spring and warm weather!!! Thanks for sharing Julia. My dad was an avid fisherman at Kure Beach in the 70’s and 80’s. I could almost swear that we stayed in this house before. Really brings back memories. Love the new life Allison has breathed into the place! Thanks Julia for posting…and to all for the nice comments! If you’re ever around the North Carolina coast we would love to give you a tour of Latitude Adjustment! So its official I have been tainted by moving back to Santa Barbara; I has expecting the “after” pix to be some faux med-tuscan-MCM lot filling stucco box “villa”, not a great accessible redo. Super cute. What a transformation. 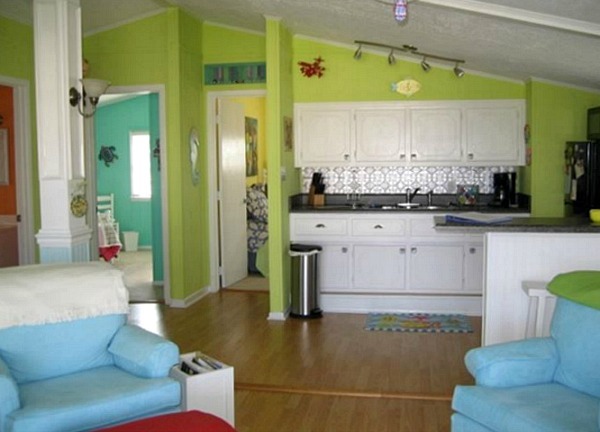 If I had a beach house these would be the colors I’d use…retro fun! In fact, it looks a bit like the old brown dingey dollhouse I fixed up…I painted it pool aqua with an apple green shake roof and white gingerbread trim..its happy now!